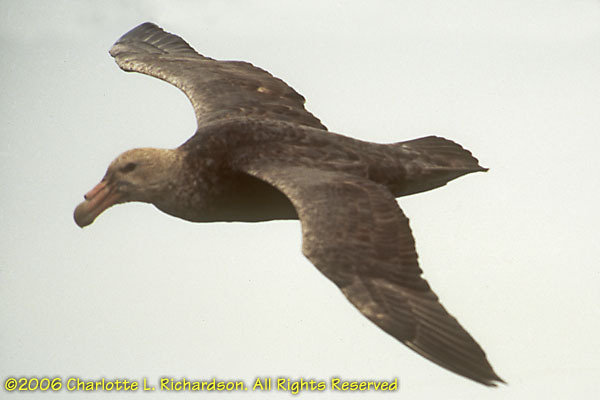 Petrels are similar in shape to albatrosses, but have only one nasal passage on top of their beaks, and are referred to as "tubenoses". 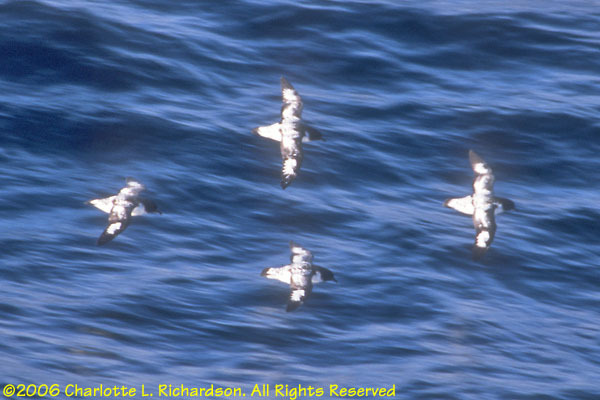 Like albatrosses, they spend almost their entire lives at sea. 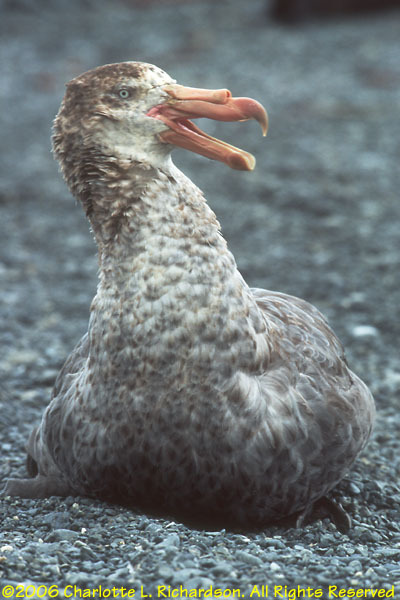 Giant petrels will take eggs and chicks from other birds, including penguins. 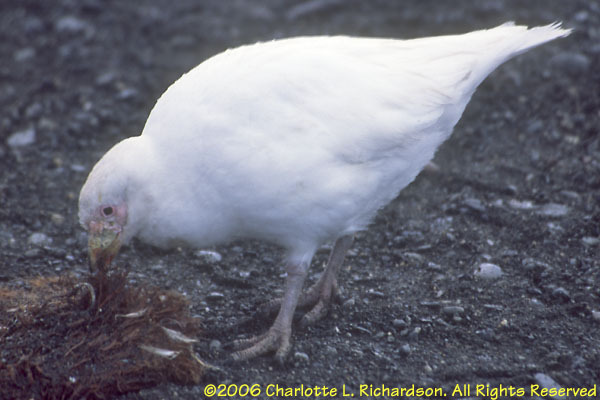 There are two species, northern (M. halli) and southern (M. giganteus). 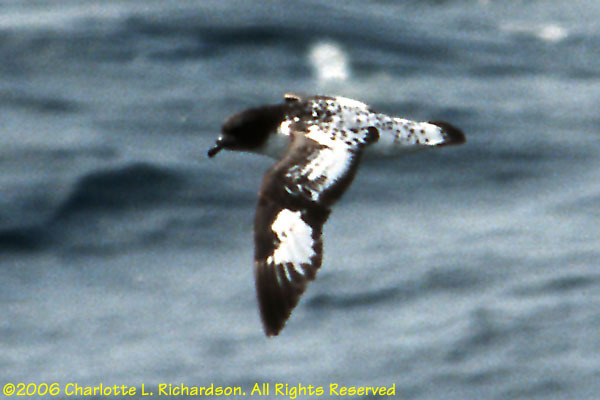 Pintado ("painted") petrels will eat almost anything and so often follow ships. 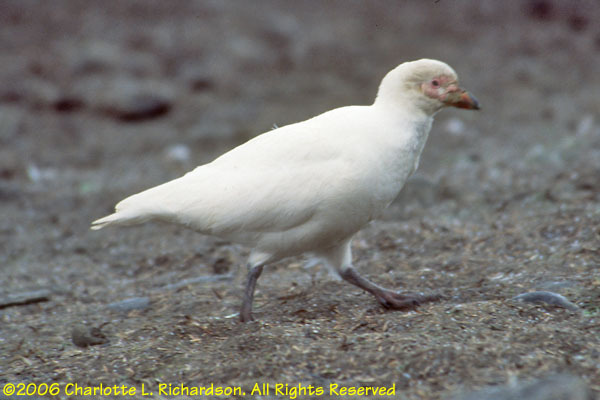 Snow petrels breed on the Antarctic continent. 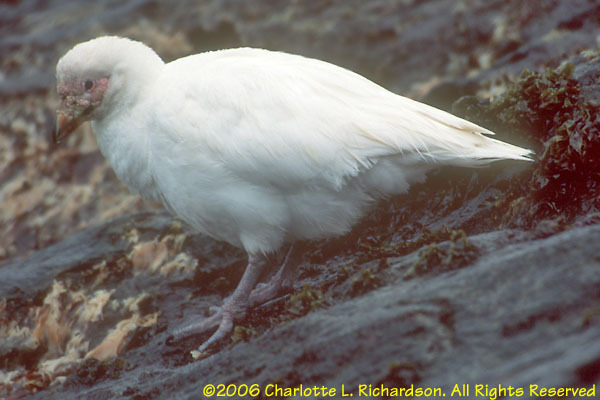 They roost on icebergs. 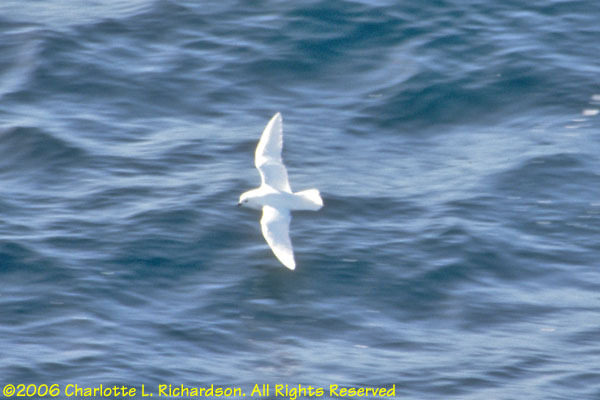 Sheathbills are the only birds in Antarctica that have clawed instead of webbed feet. They are not good flyers, but swim well, and tend to walk long distances. 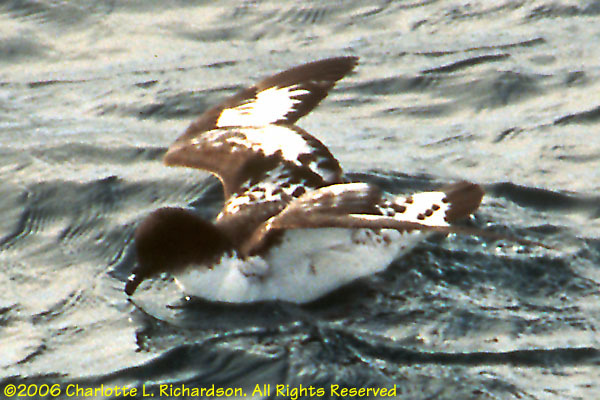 They scavenge food in penguin colonies. 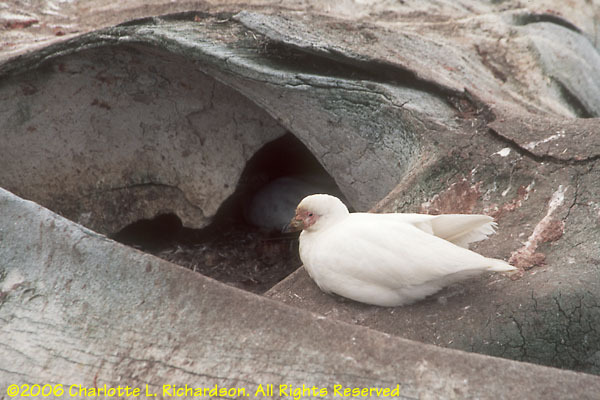 They nest in cavities, this one in a whale bone. ©2006, 2015 Mermaid Underwater Photographic. All Rights Reserved.